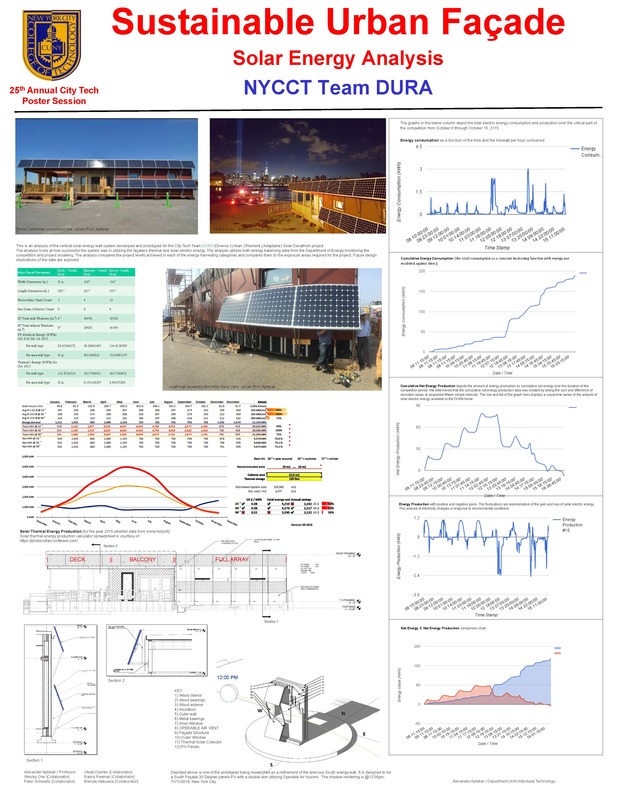 This is an analysis of the vertical solar energy wall system developed and prototyped for the City Tech Team DURA (Diverse | Urban | Resilient | Adaptable) Solar Decathlon project. The analysis looks at how successful the system was in utilizing the façade’s thermal and solar electric energy. The analysis utilizes both energy balancing data from the Department of Energy monitoring the competition and project modeling. The analysis compares the project levels achieved in each of the energy harvesting categories and compares them to the exposure areas required for the project. Future design implications of the data are explored.